A sophisticated one-page template designed for creatives. 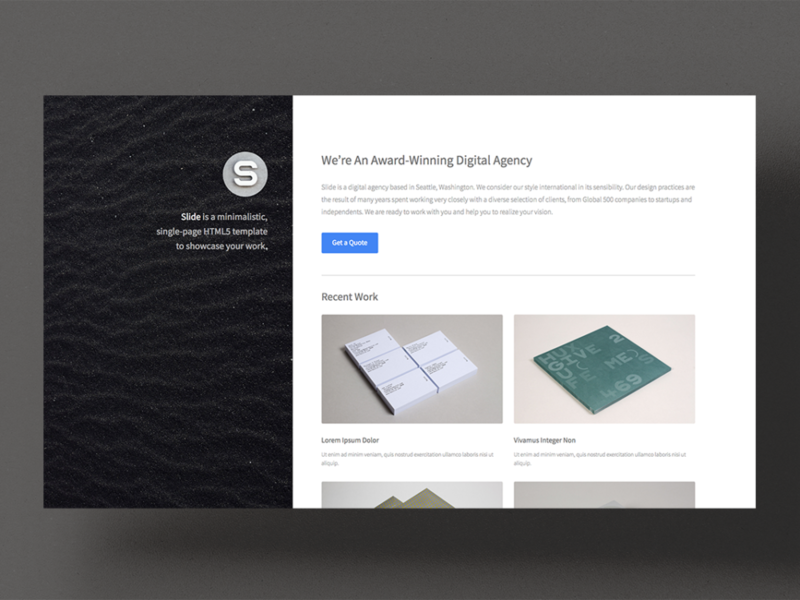 Slide is a simple yet sophisticated one-page template designed for creatives with diverse portfolios. Slide provides an enticing visual summary of your projects with a simple grid-style homepage.